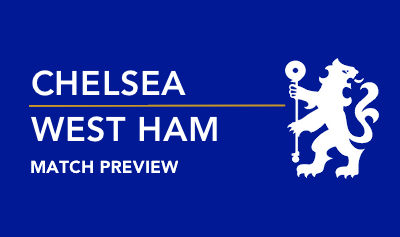 Chelsea host West Ham at Stamford Bridge on Saturday afternoon in their first Premier League fixture since facing Stoke a fortnight ago. The Blues and their east London rivals have purportedly reversed positions in the league table based on recent history with the latter vying to secure European qualification for the second time in ten campaigns. Whether due to fatigue or otherwise, Chelsea have looked sluggish since bowing out of the Champions League and Guus Hiddink has a daunting job on his hands to ensure his squad doesn't lose the desire that has galvanised the wounded champions since his arrival. The Hammers are enjoying a sensational season under Slaven Bilic having lost just three games in all competitions since late November and beaten Arsenal, Manchester City, Liverpool, Chelsea and Tottenham to date. 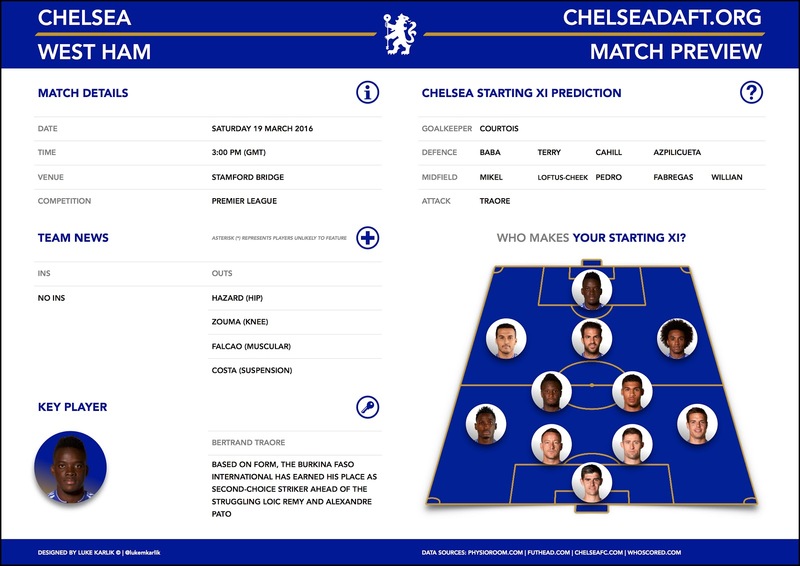 Defenders James Collins and James Tomkins are sidelined for the visitors while wide man Victor Moses is ineligible to feature due to the terms of his loan deal. I'm not convinced tiredness is a valid excuse for our defeat to Everton at the weekend. In fact, the two goals which cost us our last chance at winning silverware this season were simply down to a lack of desire. With European qualification all but over the hill and virtually nothing left to play for but a bit of extra cash based on the final league standings, Hiddink has a serious job on his hands if he's to keep the players heads up for the remainder of the season. True Chelsea fans have stuck by the team and deserve the utmost level of commitment from the players between the now and the conclusion of what's been our worst season in recent memory. If that's not motivation enough (and I suspect it won't be considering how some players mope around the pitch when things aren't going their way), giving John Terry a worthy send off should be. I suspect we may continue stuttering coming up against a strong West Ham team and this will end 1-1. What are your score predictions?